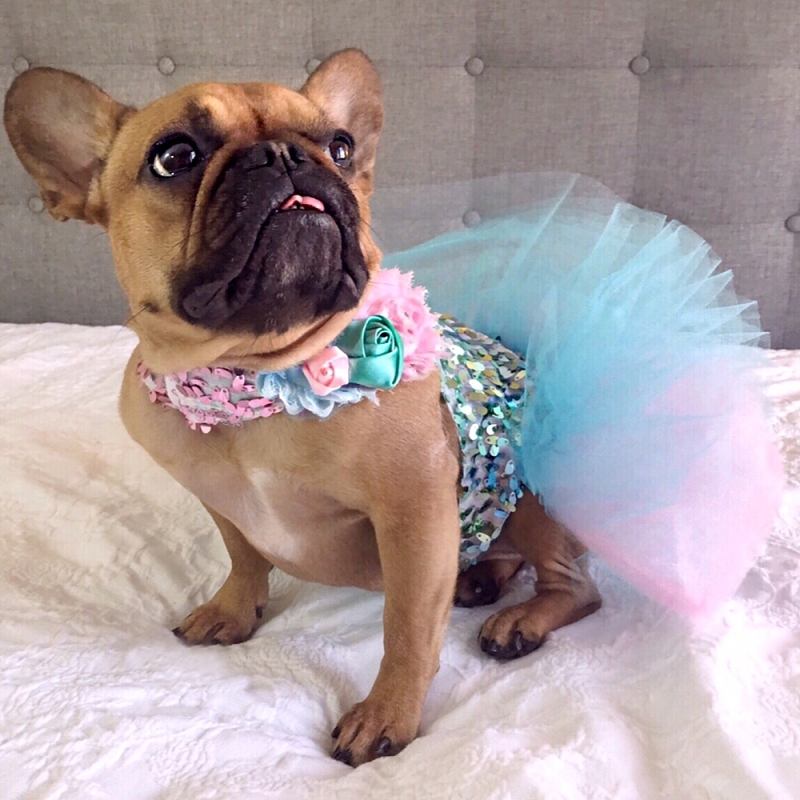 This whimsical and playful dog tutu harness is a perfect choice for your little princess. 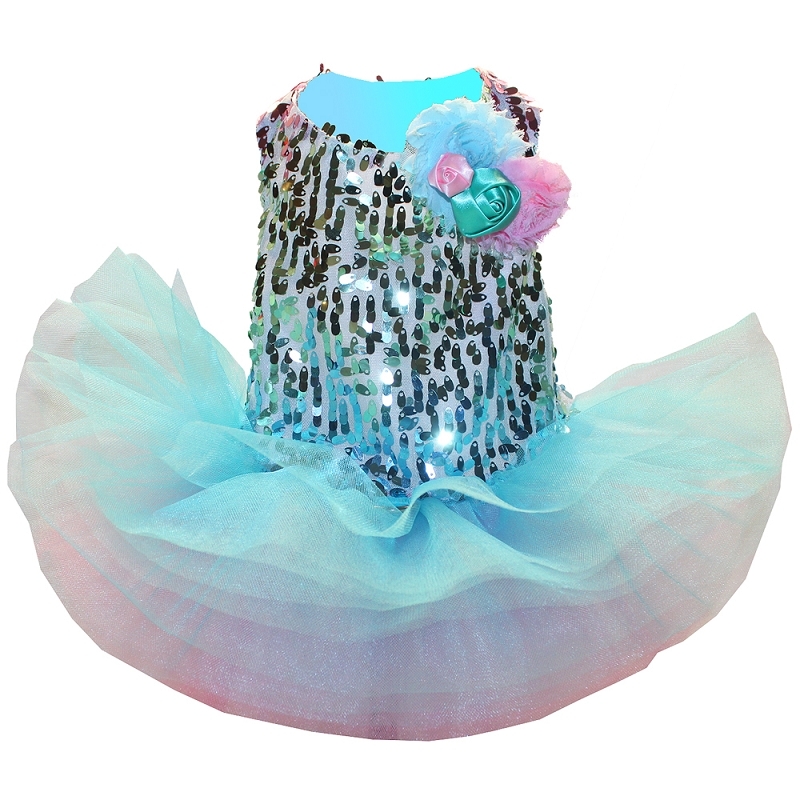 It is made with ombre sequin mesh and lined in satin. 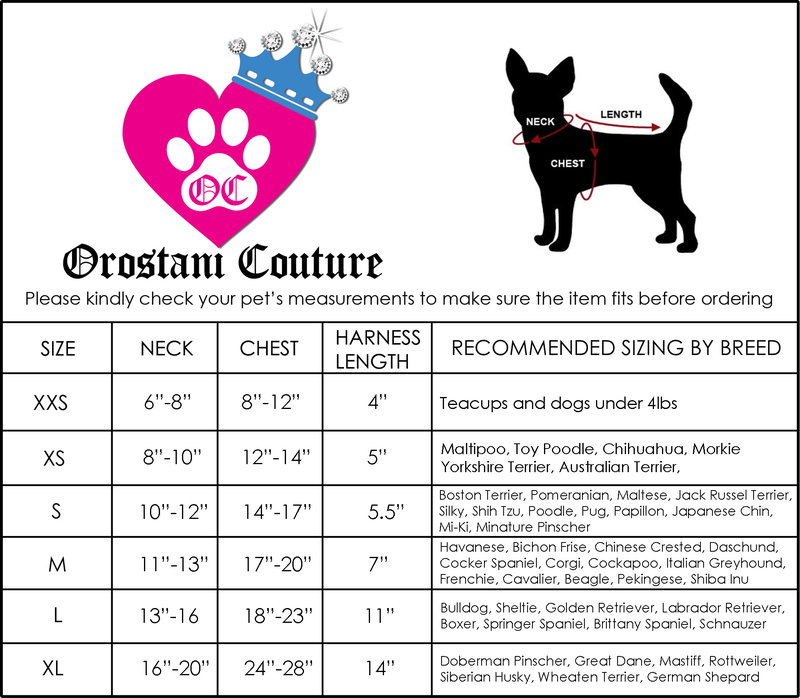 D-ring at waist. 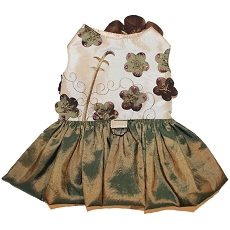 Adjustable velcro closure at neck and belly. 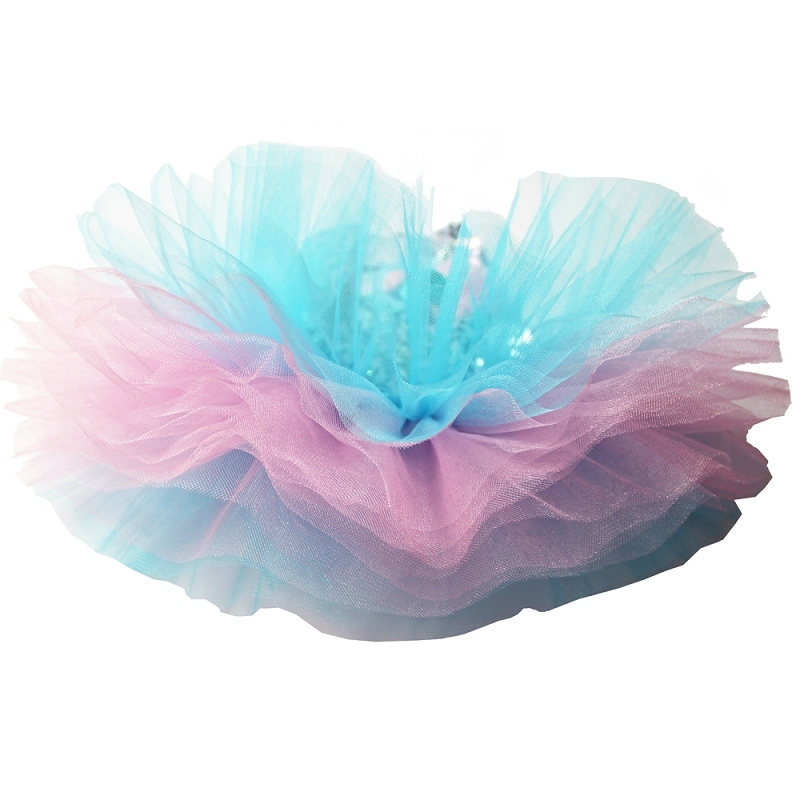 It features a cotton candy multi-color tutu skirt with satin and chiffon roses accent at neck. 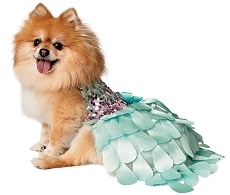 Express your love for your pet and take pride in their appearance with this limited edition Orostani Couture design. 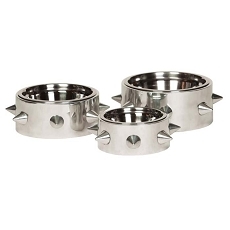 This piece can make a thoughtful gift for the pet owner in your life. 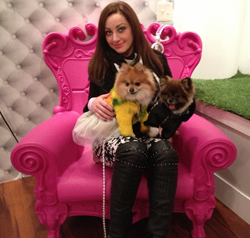 Your pampered pup will be the envy of all! 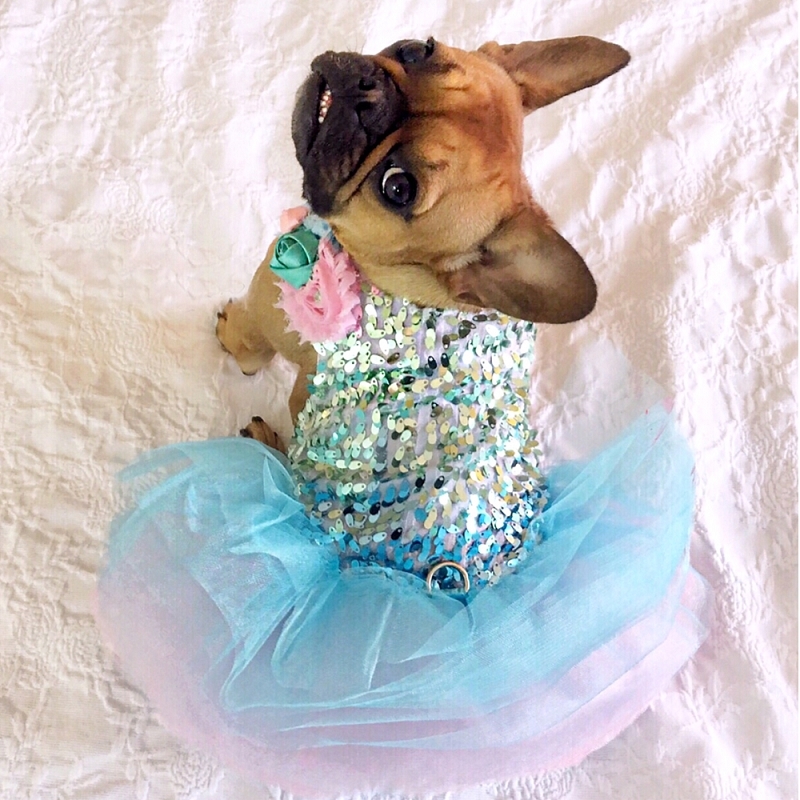 Be prepared to turn heads and tails in this adorable and fun style.